Our new sofa has attracted residents to sleep over and over, including myself! Somehow, there's something hypnotic about this sofa. Whoever sitting there will fall asleep in no time. 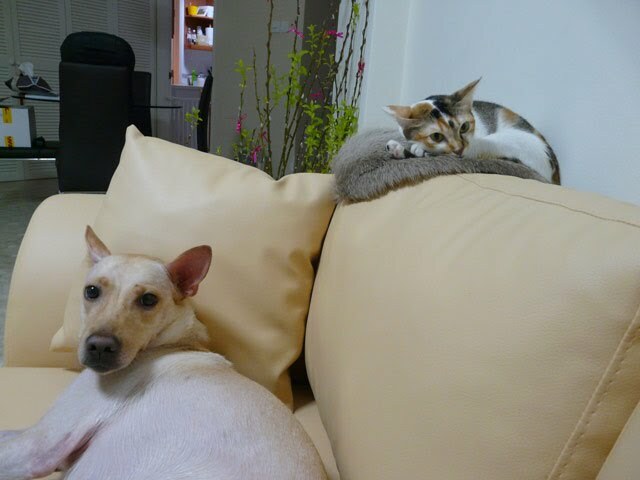 Here's Cookie and Creme enjoying their rest and nap on the sofa. Creme particularly likes dozing off on the reindeer skin we got from Sweden. She also scratches it sometimes. Tonight, something really funny happened when I sat beside Creme on the modular sofa. Fyi, the cushions are not attached to the sofa frame; they are movable. 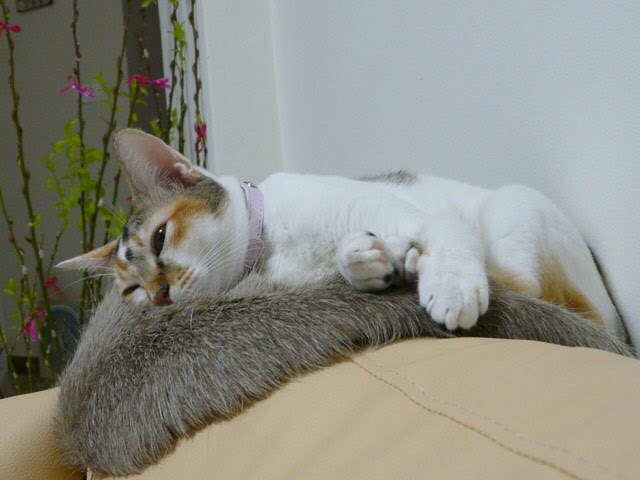 Creme was curling up in deep sleep on top of this same cushion. Suddenly, I heard a bang. The back cushion fell forward and Creme dropped down, awoke and shocked. She didn't move for a good 30 seconds. It seemed that she was 'stoning' after the wake-up shock. Very cute!